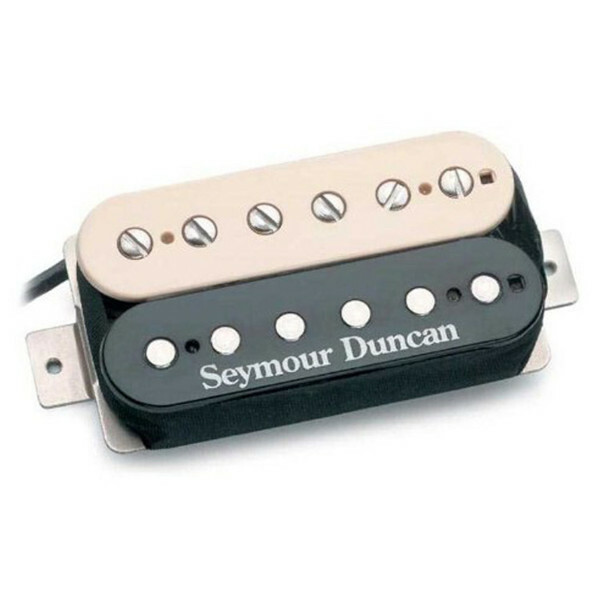 Providing great tone for blues, classic rock, jam, southern rock and hard rock playing styles, the Pearly Gates SH-PG1 Neck pickup from Seymour Duncan is an amazing humbucker. This pickup comes in a zebra colour. The Seymour Duncan Pearly Gates SH-PG1, zebra, is a warm, slightly-hotter-than-vintage humbucker, which works great for blues, classic rock, jam, southern rock and hard rock. These pickups boast players such as Dickey Betts, Warren Haynes (Gov't Mule), Howard Leese (Heart) and Greg Martin (Kentucky Headhunters).